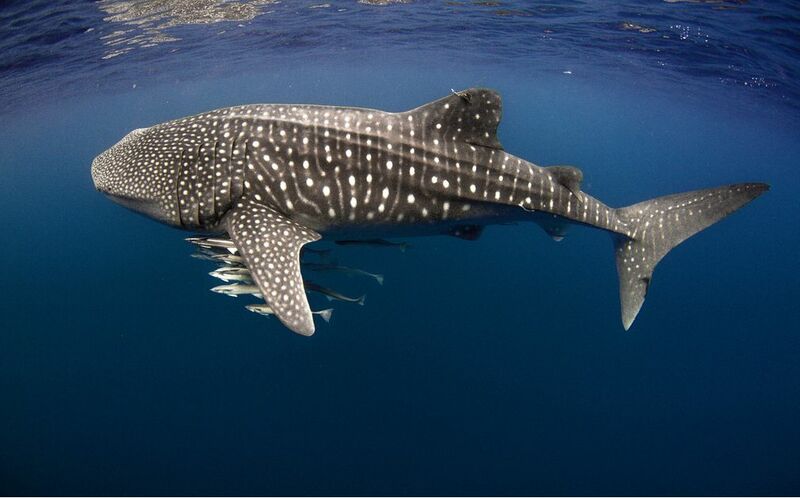 Whale sharks in Ningaloo. (Image Credit: Original Diving). A STUDY just published by the prestigious scientific journal Nature has found that undisturbed rest and feeding in Exmouth Gulf is critical for the survival of humpback whale calves and that the introduction of industrial activities to this otherwise quiet refuge will have negative consequences for this recovering and still vulnerable species. The study by Professor Lars Bejder was conducted in one of Australia’s most important whale refuges. Each winter thousands of humpback whales return to Exmouth Gulf to rest and feed their newborn calves, as they prepare for the arduous return journey to the Antarctic. The Murdoch University-sponsored research found that Exmouth Gulf is a quiet resting-ground for cetaceans, but that “a potential increase in moving vessels and a concomitant increase in anthropogenic noise in Exmouth Gulf, will likely cause an increased risk of ship strikes and acoustic masking to resting and nursing mother and calf humpback whales. Professor Bejder suggests this “acoustic masking” will impact on communication whale mothers and their calves, and he notes that this communication is “crucial for the survival of the calf”. Because the whales rest and nurse several meters below the surface they are unlikely to be seen by observers on large vessels meaning the risk of vessel strikes is significantly increased. Protect Ningaloo campaigner Jeremy Tager said: “This study directly challenges any plans to industrialise Exmouth Gulf. It also highlights how vulnerable our recovering humpbacks are, and just how little protection their refuge has in Exmouth Gulf. “This research was done in waters surrounding the site of Subsea 7’s controversial proposed pipeline facility at Heron Point,” Jeremy Tager said. “Exmouth Gulf is facing the prospect of 10km long pipes being hauled through Exmouth Gulf, and this comes on top of the already problematic increase in heavy vessel traffic from the oil and gas industry, as well as plans for a deep water port and a salt mine. “There is little doubt that such a dramatic increase in the industrial use of the Gulf will impact on the numbers and health of whales but, but also on all the marine mammals relying on the Gulf for food, rest and replenishment,” Tager said. “Professor Bejder’s work makes clear how critical this refuge is for humpbacks. The recovering population cannot afford to have this habitat damaged or degraded. “This important study provides further evidence of the need to reject Subsea 7’s proposal to build a pipe bundling facility on the shores of the Gulf,” Tager said.